Construction is a dangerous profession, but legal remedies exist if you’re injured at work. The construction industry is extremely dangerous. Injuries occur with greater frequency than in almost any other industry. If you’re injured in a workplace accident on a construction site, you may be entitled to workers’ compensation benefits or damages through a third-party lawsuit depending on the circumstances surrounding your injury. This article examines the most common construction hazards and injuries, the potential legal remedies for construction employees, as well as the steps that employees should take immediately after a workplace injury. These hazards can lead to a number of serious injuries, including brain trauma, spinal cord injuries, paralysis, severed limbs, and even death. Did you know?According to the United States Bureau of Labor Statistics, there were 77 fatal work injuries in Arizona in 2016. Of these fatalities, the construction industry accounted for 19%. Shockingly, the Census of Fatal Occupational Injuries found that over a 45-year career, a construction worker has a 75% likelihood of experiencing a disabling injury and a 1 in 200 chance of being fatally injured on the job. Construction workers have a 75% chance of suffering a disabling injury on the job. Examples of Arizona construction injuries are easy to find in the news. Just recently, a Tucson woman was killed when she was struck by a piece of construction equipment while doing road work, and a man was injured when the tractor he was using fell 12 feet in downtown Phoenix. In most cases, there are two potential legal remedies for construction workers injured on the job. Let’s take a look at each remedy. 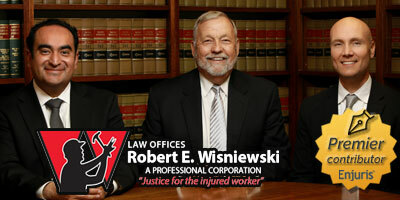 Workers’ compensation is a form of insurance that provides benefits to employees injured in the course of employment. In Arizona, most employers are required to carry workers’ compensation insurance regardless of how many workers they employee and regardless of whether those workers are part-time or full-time. Enjuris tip: Keep track of your pain and symptoms with our post-accident journal. The categories listed above determine the amount of wage loss benefits an injured employee can receive. To determine which category best applies to your injury, talk to an experienced workers’ compensation attorney. In Arizona, the trade-off for receiving workers’ compensation benefits is that you can’t sue your employer or co-worker for your work-related injury. However, if you’re injured by a third party (someone other than your employer or co-worker), you can file a workers’ compensation claim and file a separate third-party lawsuit against the person or entity that caused your injury. Keep in mind that filing a lawsuit and winning a lawsuit are two different things. When it comes to workers’ compensation, Arizona is a “no-fault” state. This means you can file a workers’ compensation claim and receive benefits without having to prove that your employer did anything wrong. This is not the case when it comes to filing a third-party lawsuit. If you intend to file a third-party lawsuit, there are a couple of important things to keep in mind. As an employee entitled to workers’ compensation benefits, you only have 1 year from the date of your injury to file a lawsuit against a third party (and only 180 days if the third party is a government entity). Once this period ends, you have no right to file the lawsuit (though the workers’ compensation insurer may have the right to do so). As an employee entitled to workers’ compensation benefits, it’s imperative that you notify the workers’ compensation insurer of your intention to file a lawsuit against a third-party. Visit a doctor so you can get the help you need and so you can begin establishing the medical evidence that is often the key to a successful claim. Report the injury to your employer as soon as possible so that your employer can file the required Employer’s Report of Industrial Injury and provide you with information regarding their workers’ compensation insurance carrier. Complete and file a Workers’ and Physicians Report of Injury or a Worker’s Report of Injury within 1 year of the work-related injury. Contact an attorney to see if there are any other legal remedies you should be pursuing. Construction site accidents are complex and often require the expertise of an experienced Arizona attorney. If you’re injured in a construction accident, don’t hesitate to contact an attorney sooner than later. Most attorneys offer a free initial consultation.